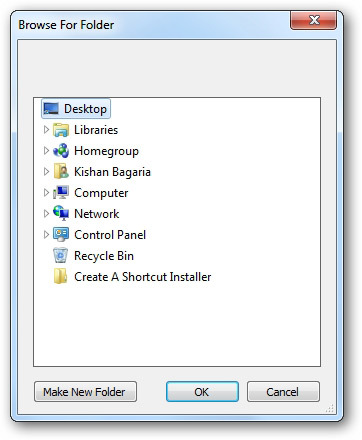 Create A Shortcut is a free tool that allows you to create a shortcut of any file anywhere on your computer from the context menu. If you use the default Create shortcut option, it creates a shortcut in the same folder the original file is. Right-click on the file of which you create a shortcut and select Create A Shortcut. Select the folder in which you want to place the shortcut. It will now place the shortcut of the file in the folder that you selected.